Kit Rae's newest edition to the United Cutlery Ancients Collection is a handsome sword. 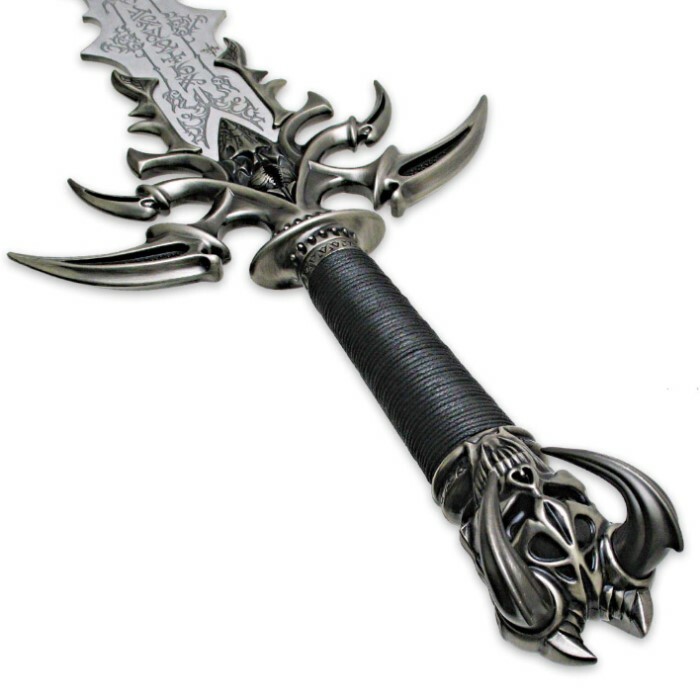 The Vorthelok Sword has a false-edged stainless steel blade that feature engraved runes. A intricately detailed cast metal hilt with an antiqued iron finish is the crowing glory of this fine piece. The handle has a waxed cotton cord grip. 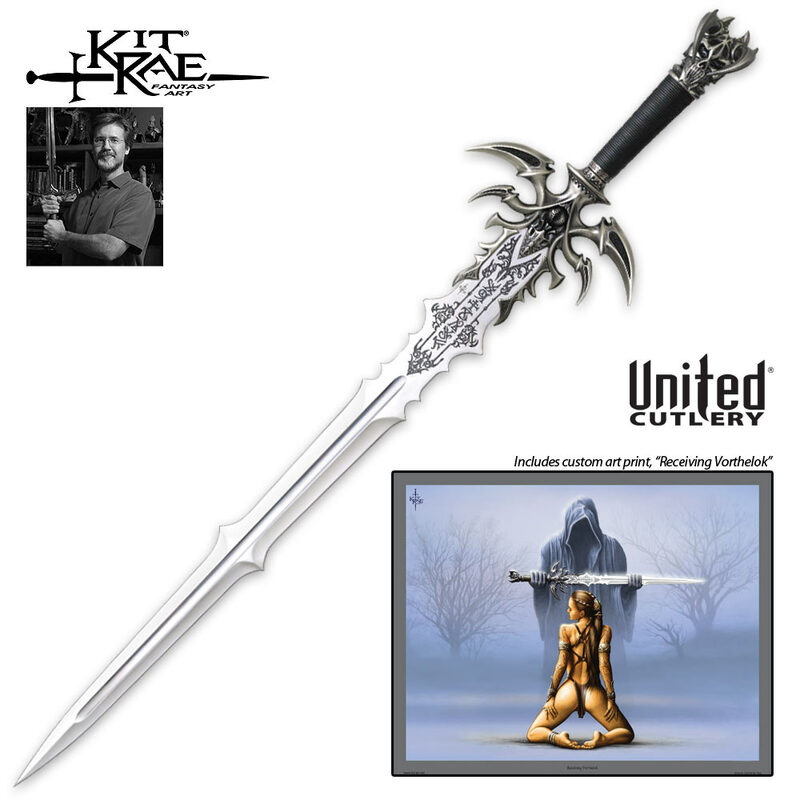 This sword comes with a certificate of authenticity and a custom art print depicting Vorthelok. Love the details that went into this. This is a display piece for sure, but it has some weight to it so if swung it would do damage but it is not a battle ready sword. The craftsmanship is amazing overall. Just wish kit rae made something like this that was battle ready. The only downside to this is that when handling the horns from the pommel tend to stick into my hands. But other than that this sword is a great buy. Beautiful sword, it is well detailed and looks great on my wall of weapons. Definitely worth the money. Totally F...ing Bad A.. I was VERY surprised by it's size, weight, striking appearance and overall quality. To hold it in my hands feels makes me like a true warrior from ancient times. WAY WAY worth the money!